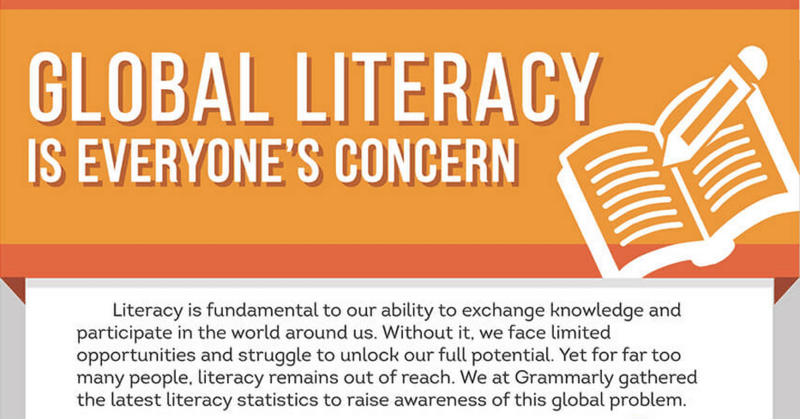 The more “literate” you are, the more you should care about literacy in the world! Whoops! DRONE KILLINGS is plural, so the verb used with it should be UP (with no S), not UPS (which is singular). DRONE KILLINGS UP PRESSURE FOR NEW HOSTAGE STRATEGY. Whoops again! THREATS is plural, so the verb with it should be MAKES (without the S). RISING THREATS MAKE KURDISH OIL LESS ATTRACTIVE. Apparently, those who create those pesky crawls at the bottom of the screen are not immune to this Grammar Glitch either. STRIKES (plural) is the subject here, so the verb should be KILL, not KILLS, which is singular. U.S. DRONE STRIKES ACCIDENTALLY KILL AMERICAN, ITALIAN AL-QAEDA HOSTAGES. PLEASE NOTE: Aside from the grammar points relating to these news items, this is a sad subject, and we offer condolences to the families involved. In this one, the subject is RULE, which is singular. Therefore, the verb should be LEAVES, not LEAVE, which is plural. It should read: NEW RULE LEAVES DRIVERS SURPRISED. NOTE: I didn't bother to click and find out what the new rule is. COMMA OR SEMICOLON? THERE IS A DIFFERENCE. The others buried there were: Peter Smith, Geneva Ann Jones, a 6-month-old girl who died from a heart condition in 1993; Vivian Lawrence, 49; Robert Samuel Vaughn, 74: Emily Parsons, 93; Annie Rae Stevens, 56. NOTE: The names in the above example have been changed. Whoops: When people are listed in a series, their names should be separated by commas. If additional information is given about some of the people, that information should be separated from the name with a comma. In that case, each person/information combo should be set off from the next person or person/info combo by a semicolon. This should be done consistently throughout the sentence. The others buried there were Peter Smith; Geneva Ann Jones, a six-month-old girl who died from a heart condition in 1993; Vivian Lawrence, 49; Robert Samuel Vaughn, 74; Emily Parsons, 93; and Annie Rae Stevens, 56. The notice says that anyone who wants to report an allegation should do so in writing to the court with as much information as possible, including the person or persons involved; the date on which the alleged violation occurred and specific details of the incident. The notice says that anyone who wants to report an allegation should do so in writing to the court with as much information as possible, including the person or persons involved, the date on which the alleged violation occurred, and specific details of the incident. When you use a series of phrases within a sentence, it is important to set up a pattern and stick to it. This is PARALLEL STRUCTURE, which it allows your reader to grasp the series of phrases without having to shift gears because you shifted format. "Obama poked at conservatives, tried to rile them with talk of tax increases, more "free" government programs, and repeatedly espouse his "middle class" ideas for America." Whoops! When reading this sentence, it is difficult to recognize what goes with what. MORE "FREE" GOVERNMENT PROGRAMS is not a separate phrase. It belongs with TALK OF TAX INCREASES as one of two things Obama tried to use to rile conservatives. However, REPEATEDLY ESPOUSE…. is a separate phrase and should use the verb form ESPOUSED in the same tense as POKED and TRIED. Obama poked at conservatives, tried to rile them with talk of tax increases and more "free" government programs, and repeatedly espoused his "middle class" ideas for America. NOTE TO READERS: If you'd like to see some examples of how to befuddle the agreement in sentences, please check out the latest two posts on Facebook at Grammar Glitch Central.